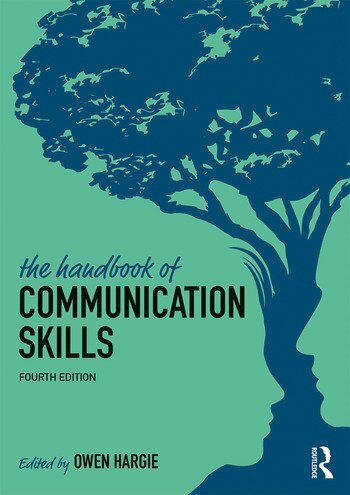 The Handbook of Communication Skills is recognised as one of the core texts in the field of communication, offering a state-of-the-art overview of this rapidly evolving field of study. This comprehensively revised and updated fourth edition arrives at a time when the realm of interpersonal communication has attracted immense attention. Recent research showing the potency of communication skills for success in many walks of life has stimulated considerable interest in this area, both from academic researchers, and from practitioners whose day-to-day work is so dependent on effective social skills. Covering topics such as non-verbal behaviour, listening, negotiation and persuasion, the book situates communication in a range of different contexts, from interacting in groups to the counselling interview. Based on the core tenet that interpersonal communication can be conceptualised as a form of skilled activity, and including new chapters on cognitive behavioural therapy and coaching and mentoring, this new edition also places communication in context with advances in digital technology. The Handbook of Communication Skills represents the most significant single contribution to the literature in this domain. Providing a rich mine of information for the neophyte and practising professional, it is perfect for use in a variety of contexts, from theoretical mainstream communication modules on degree programmes to vocational courses in health, business and education. With contributions from an internationally renowned range of scholars, this is the definitive text for students, researchers and professionals alike. Owen Hargie is Emeritus Professor of Communication at Ulster University. He is Associate Fellow, and honorary life member, of the British Psychological Society, and an elected member of the prestigious Royal Norwegian Society of Sciences and Letters. He was conferred with the award of a Senior Distinguished Research Fellowship by Ulster University in recognition of his prolific research contributions over four decades.